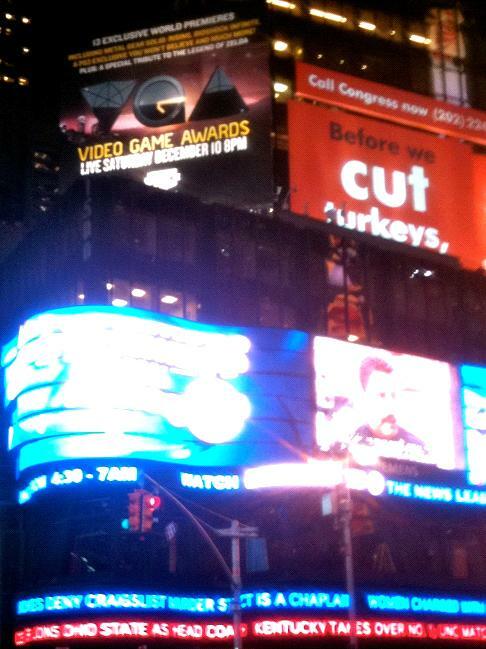 Spike TV’s VGAs, Video Game Awards for short, has a nice billboard in Times Square. If you look closely, you’ll see that the ad says the award show will reveal a PS3 exclusive you won’t believe. You know what I won’t believe? Halo 4. It must be Halo 4. The VGAs will air on December 10th, Saturday, on Spike TV.